The stiff rivalry between the two Nigerian foremost new generation banks, Guaranty Trust Bank plc and Zenith Bank plc in the Nigeria financial market space seems endless as both banks again posted impressive results for the half year ended June 30th, 2018. The peer to peer analysis between Guaranty Trust Bank (GTBank) and Zenith Bank Plc reveals that both financial institutions are consistent with their tradition of good performance and rewarding investors. Both Banks have virtually been in a fierce but subtle contest for the leadership position of the banking industry in Nigeria. The results show that both banks are narrowing the gaps between themselves as both their pretax and post-tax profit profiles indicated very slim differentials. 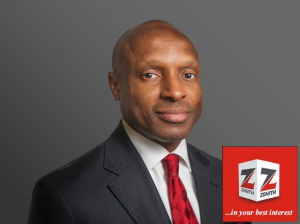 Zenith Bank plc declared a 16.46 percent increase in profit before tax in its 2018 half year result published by the Nigerian Stock Exchange on Monday 6th of August, 2018. The result showed that the group’s PBT rose from N92.18bn to N107.36bn in the review period, while its profit after tax edged up by 8.52percent to N81.74bn from N75.32bn in the previous year. Though, the bank’s reported gross earnings dropped minimally by 15.5percent from the previously reported gross earnings of about N 380bn of 2017, however the bank still recorded a compact turnover of about N322bn in the review period of 2018. Earnings per share was up by 8.52 percent to N2.60 from N2.40, while its PE Ratio stood at 9.18x with an earnings yield of 10.89%. The Peter Amagbo led management proposed an interim dividend of 30 kobo for every share of 50kobo. The register will be closed on August 20, 2018 to enable the registrar prepare for payment which will be paid electronically on the 24th of August, 2018, to shareholders whose names appeared on the register on or before August 17, 2018. 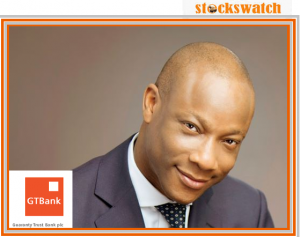 Guaranty Trust Bank Plc also announced a profit before tax of N109.63bn for the half year ended June 30, 2018. The figure represents 8.4 percent increase on the N101.1bn profit before tax it declared a year earlier. The bank’s profit after tax rose by 14.22 percent year-on-year from N83.68bn in 2017 to N95.58bn in 2018. The results, which the bank filed with the Nigerian Stock Exchange last Wednesday also showed that its earnings per share 14.22 percent to N3.25 from N2.84 in 2017. As at the end of the year under review, the bank’s PE ratio stood at 11.88x with 8.41% earnings yield. Following the performance, the bank’s board of directors proposed an interim dividend of 30 kobo per share. The register to be closed on Thursday August 16, 2018 and the dividend will be paid electronically on the 30th of August, 2018, to shareholders whose names appeared on the register on or before August 15, 2018. FLOUR MILLS OF NIG. Half year PAT plunged by 19.47% to N3.6 billion in H1’18.